What a great weekend!!! 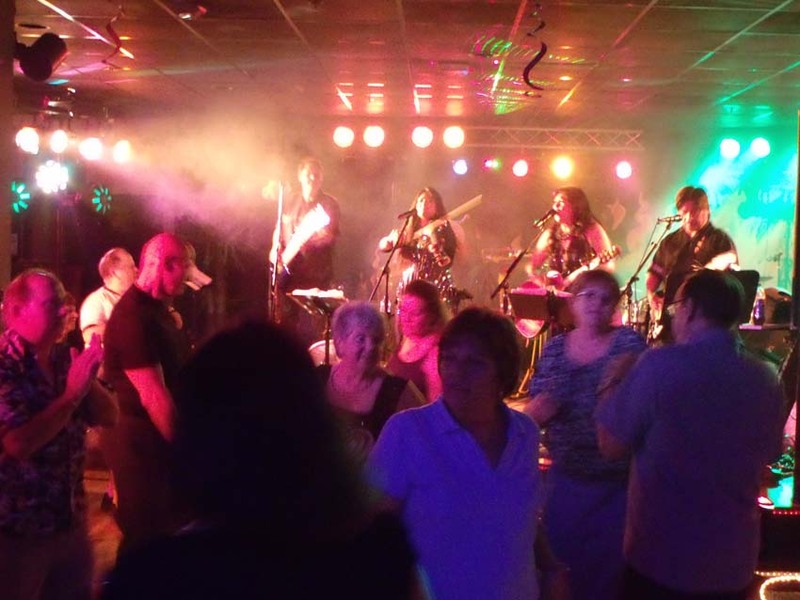 The Oracle Band's first stop for this wild and crazy June weekend was Whispers Restaurant and Lounge in Glen Burnie Maryland, where a full house came out to sing along, dance, and party with the band until the wee hours of the morning. It seems like every time we come to Whispers there is something new, different, and exciting. This particular weekend we were surprised as a bunch of friends decided to throw Veronica a surprise birthday party a couple of weeks in advance of her actual birthday. Since we didn't have a public performance on her actual birthday they figured the surprise would be even more complete and everyone would be able to take part. Veronica was definitely surprised all right! It is so great to have such wonderful friends and fans!!! You guys are definitely the BEST!!! Then Steve had a surprise of his own as the bass player from the show band Pinoy stopped by to say hi. Edgar was the bass player with Pinoy, and for several years Steve toured with them all across the country putting on floor shows and entertaining thousands. It had been almost 20 years since Steve had last seen Edgar...it was really a treat. Oh yeah...the photos! We got soooo many great pics it was hard to narrow them all down. You can comment and tag yourself and your friends on our FaceBook Page, or you can simply watch the slideshow by clicking the play button below. Whatever way you watch, we certainly hope you enjoy!